Police struggled to control crowds in Glasgow’s City Centre last night as groups unofficially aligned with the ‘Yes’ and ‘No’ sides of the Scottish Independence Referendum taunted each other in the streets. Twitter users reported that pro-union campaigners burned Scotland’s flag, the Saltire, in George Square, and that at least six people had been arrested. 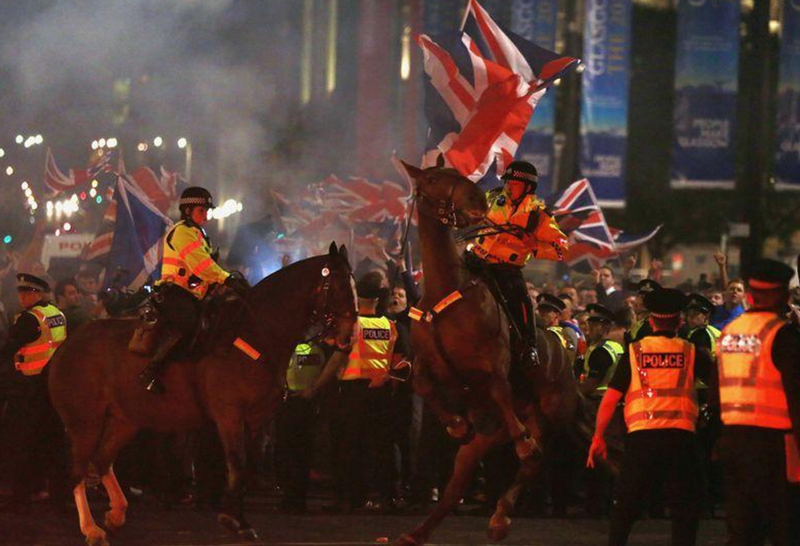 Scottish Police separated the two groups with lines of hi-visibility coppers, with some on horseback, as flares were hurled across George Square, and demonstrators berated one another. 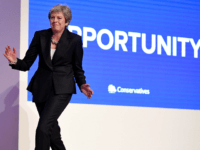 Reports on the ground suggestted that elements of the far-right British National Party were present, as well as individuals performing Nazi salutes whilst waving the UK flag, better known as the ‘Union Flag’. Amidst a tense atmosphere, the Yes crowd sang ‘Flower of Scotland’, whilst the No group retaliated with ‘Rule Brittania’. A Police Scotland spokesman said there are about 100 people in each group. The scenes were described as “ugly” by Daily Mirror journalists, though the police have been repeatedly praised for holding the line, keeping a relative amount of peace, and not overreacting to provocations by the crowds. More Twitter users seemed to be blaming the ‘Yes’ supporters for the raucousness in the city centre last night, but this morning ‘Yes’ supporters are blaming the pro-Union side. By 9.30 last night, Police Scotland said that the majority had dispersed, but a small group of troublemakers remained and were being monitored. Liberal Democrat Member of Parliament Sir Menzies Campbell said: “For people like me who are committed to the democratic process and who have valued the way in which this campaign has been conducted until now, it is extremely disappointing. The situation appears to have calmed down now, but marches by the pro-Union Orange Order are planned later today, fuelling fears that trouble could flare up again later.